We learn a lot as we get older; and whether we want to know it or not, we learn that we cannot take our adult health for granted. If you have developed Low T symptoms that you want to use medical treatment to correct, you may need to learn where to buy testosterone cypionate if this is the form of treatment that your TRT (testosterone replacement therapy) doctor prescribes for you. And since it is a widely prescribed treatment for US men with Low T, there is a good chance that this might be the case. As an injectable type of TRT treatment, testosterone cypionate has proven to be well tolerated by most patients and highly effective in relieving their deficiency symptoms. But as you probably already know, any form of medically prescribed male hormone replacement therapy should be considered an ongoing commitment. This is because its therapeutic purpose is to supplement your essential androgen supply – a supply that has declined because your body is no longer capable of producing an adequate amount of this critical hormone on its own. This means that if you are truly committed to using TRT and gaining its health and vitality benefits, you will be using your prescribed treatments on an ongoing basis throughout your adulthood; and you will definitely need to know where the best place to purchase them is. Here is where you never want to purchase them: From any seller, either online or anywhere else, that does not require a valid medical prescription from you. It is completely illegal for anyone to sell or buy a controlled pharmaceutical substance like bio-identical testosterone without (1) requiring a licensed physician’s medical prescription, and without (2) being a legally licensed US pharmaceutical source. So you will need to learn where to buy testosterone cypionate that is both authentic and is being sold to you legally. When you purchase your prescribed treatments through Nexel Medical, you can always be certain that both of these critical criteria have been met. It is important for you to understand how your TRT doctor has arrived at the optimal dosage of testosterone cypionate for you to use because it involves determining how to ensure that your treatment delivers the results you want to achieve. If you use less or more than what your doctor has prescribed for you, or do not follow the schedule for administering your treatments that has been recommended, then you cannot expect to achieve the best results from your therapy. Regardless of the legal pharmaceutical supplier you decide to use for where to buy testosterone cypionate, you will have to be certain that you are purchasing the exact dosage that has been prescribed for you to use. The injectable forms of TRT treatment are typically in more than one dosage strength, so you need to be sure that you are buying and using the right one. Your TRT doctor considers a number of individual factors when determining you dosage; these include the extent of your male hormone deficiency; your overall physical condition; your age; and any other of your personal health factors that could be relevant to how much testosterone cypionate you should be using and how often you should be using it. 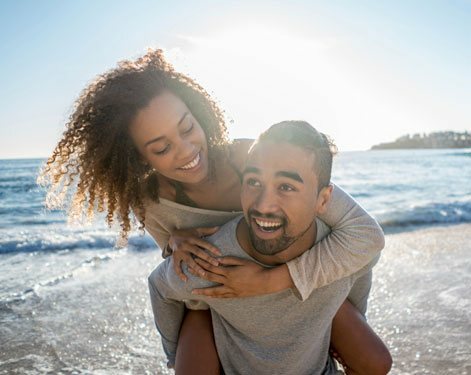 The goal of your treatment is to restore your male hormone supply to within the range that will supply you with the maximum amount of therapeutic benefits, without allowing your testosterone levels to become excessively high. Levels that are too high can be just as disadvantageous to your health as levels that are too low. This is why diagnosing your condition of deficiency includes blood testing, a medical exam, and the thorough evaluation of your medical history. Any adult who uses a controlled medical substance such as testosterone cypionate without undergoing these essential diagnostic procedures is simply not going to be using it safely or effectively. And any doctor who neglects to perform these procedures should not be prescribing testosterone replacement therapy programs for patients. Before you get ahead of yourself and become too focused on where to buy testosterone cypionate, you need to be honest with yourself – and your TRT doctor – about committing to the use of injections that you will be responsible for preparing and self-administering. One of the reasons that the topically applied forms of testosterone replacement therapy were developed, and have become so aggressively advertised, is that for many people, just the thought of regularly using an injectable form of treatment is a daunting one. However, this is an example where the thought of doing something that you have never attempted is much more dramatic than the reality. Medically prescribed testosterone injections have been used by men with Low T for many decades, and it has always been more viable for them to learn to do it themselves than having to visit their doctors several times every month in order to receive them. Given the pharmaceutical refinement, stability and availability of today’s prescription Low T treatments, this form of therapy is more viable than ever. It is also easier than ever for TRT patients to learn how to master, due to the wealth of instructional information that is available to them online. From blogs to video instructions that explain and demonstrate the correct process, anyone can easily access the procedures that are used to properly prepare and administer their own testosterone injections. In fact, when you have an experienced and qualified TRT provider like Nexel Medical managing your treatment, it makes everything about your therapy easier. We will be there to advise and assist you on every aspect of your hormone replacement program, including where to buy testosterone cypionate, because our only goal is the successful outcome of your treatment. Our experience has shown us that your success will depend on you having all of the information and support you will need to get the most from your program of therapy – and we are confident that we are the ones who can provide you with exactly those things.